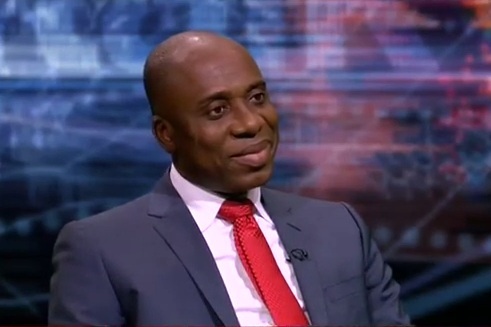 The Rivers State Chairman of the Peoples Democratic Party, Chief Felix Obuah, on Friday declared that the supremacy of the party remains and can never be compromised, while Governor Rotimi Amaechi questioned his stability and mental wellness. Obuah, while speaking in Port Harcourt, maintained that only Rivers people could settle their internal problems, wondering why the governor hastily rebuffed his peace effort, as if he (Amaechi) was not interested in making peace with the party and people of the state. The PDP chairman said the governor and his supporters must face the consequences of their actions. Amaechi, who is also the Chairman of the Nigeria Governors’ Forum (NGF), however, described the Rivers PDP chairman’s peace attempt as most disrespectful, ridiculous and laughable. The governor made the remarks through his Chief Press Secretary, David Iyofor, who asked Obuah to show some respect for the office of the state governor. The chairman spoke through his Special Adviser on Media, Jerry Needam. Is their any law that states that to brooker peace it must come from a mini gods direction? If you good enough listen to advise it will really help you a lot. A man whose subordinate can not advise nor opine possible ideas to is not a good leader. Be humble and submissive and not to be a traitor to you people.